https://www.xeniagazette.com/wp-content/uploads/sites/32/2019/04/web1_DuncanBest.jpgAnna Bolton | Greene County News Duncan, 13, poses with his human, Ann O’Donnell, outside the Gazette office April 11. 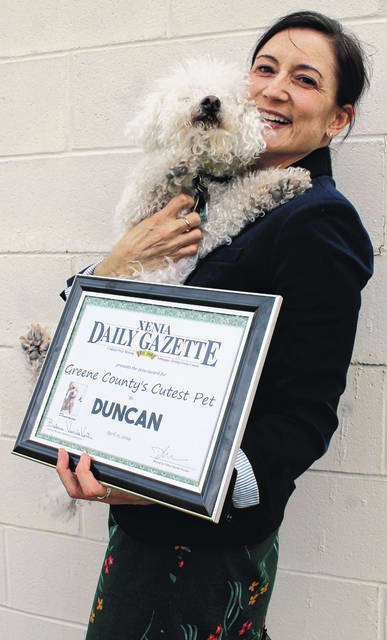 Greene County voters selected Duncan to be honored as Greene County’s Cutest Pet. 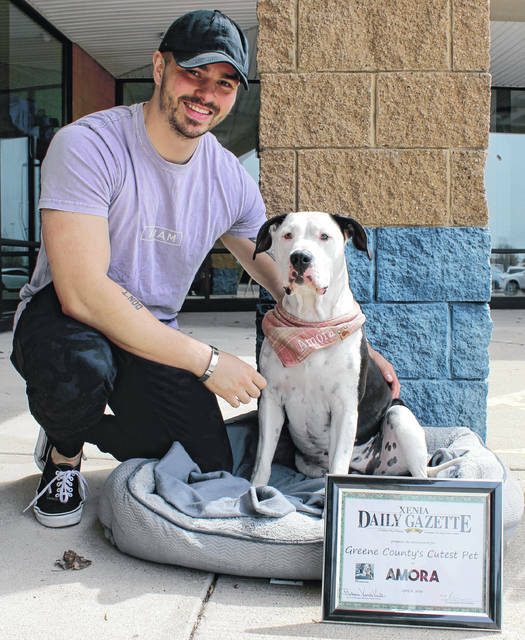 https://www.xeniagazette.com/wp-content/uploads/sites/32/2019/04/web1_AmoraBest.jpgAmora, 1, takes up post at her normal spot outside Snap Fitness alongside her human, Corey Jackowski. Amora, too, was named Greene County’s Cutest Pet after official final results were counted. 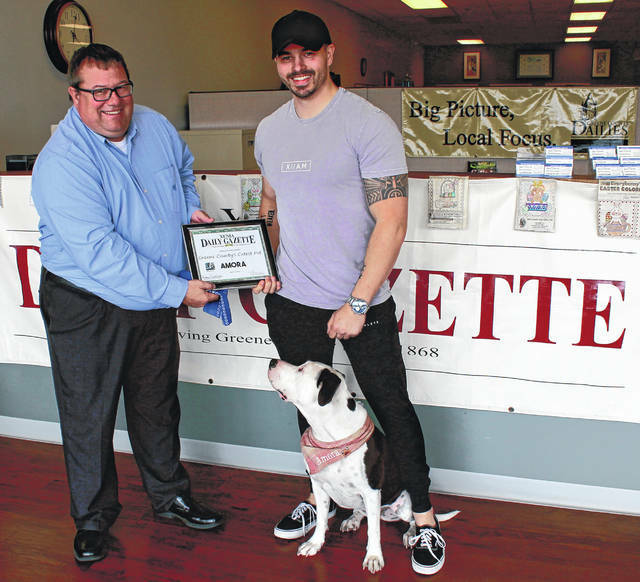 https://www.xeniagazette.com/wp-content/uploads/sites/32/2019/04/web1_AmoraAward.jpgXenia Daily Gazette Managing Editor Darrell Wacker presents the Cutest Pet award to Amora and Corey Jackowski. 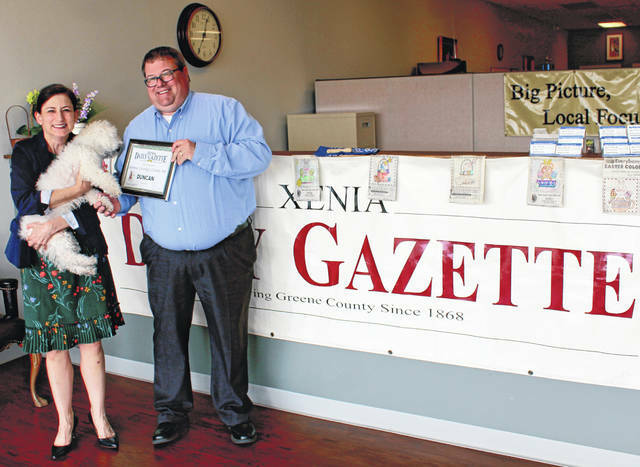 https://www.xeniagazette.com/wp-content/uploads/sites/32/2019/04/web1_DuncanAward.jpgAnn O’Donnell and Duncan accept the Cutest Pet award from Xenia Daily Gazette Managing Editor Darrell Wacker.